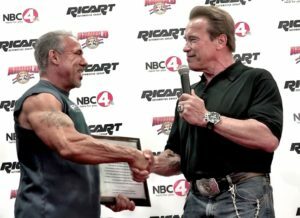 David Lyons, founder of the MS Bodybuilding Challenge and co-founder of the MS Fitness Challenge with wife Kendra, has dedicated his life to helping people with MS understand the importance of fitness in their lives. He is the faith based author of David’s Goliath, a book on his journey to a bodybuilding stage with MS; a speaker/writer for the Fellowship of Christian Athletes; writer for Everyday Health, reaching 30 million visitors monthly; owner of the OPTIMALBODY fitness brand and gym; and president/executive producer at Bishop-Lyons Entertainment, one of Hollywood’s top production companies; among other endeavors. It is obvious that David does not let MS define him or hinder him on his road to success and living a full life. Getting the proper guidance in preparing and maintaining an ongoing lifestyle of fitness, nutrition and health is especially important for those of you with Multiple Sclerosis. 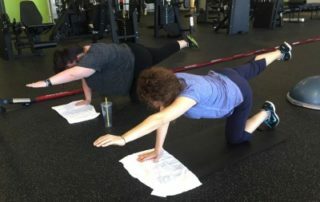 This is the number one reason MSFC has created a FREE online program for those of you who have MS and who are not able to attend one of our nationwide 12 week challenges or work with an MS certified trainer in your local gym. 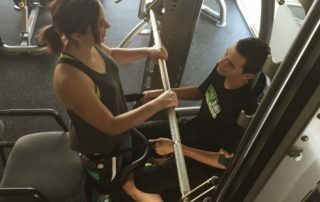 Whether you are looking to build muscle; burn fat; tone up; gain strength; increase performance for a specific sport; or just be able to take MS head on to overcome your symptoms and conquer it, our TEAM of MS Fitness & Wellness Specialist certified trainers can help you reach your goals safely and quickly. 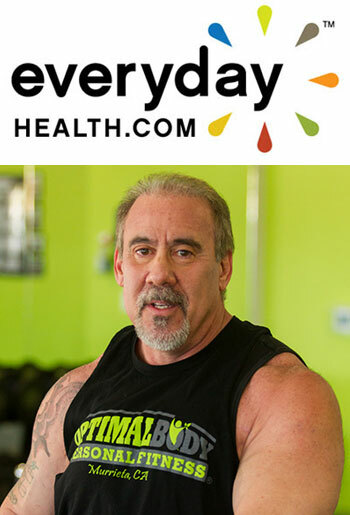 We use a combination of over 30 years of fitness, nutrition and training experience and knowledge with our specialized OptimalBody HD Training System which is the same program used in my book Everyday Health and Fitness with Multiple Sclerosis and custom design a program specifically for you. We work with people of all ages, fitness levels and stages of MS progression whether coordination challenged or wheelchair bound. All programs are designed specifically to your personal needs, goals and abilities. 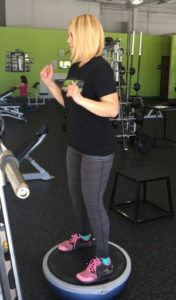 There are no “one size fits all” programs with our trainers. We can design a home based or gym located training system that works around your schedule, limitations and equipment available. Our MSFC online trainers take your progress as seriously as we do our own and I personally supervise all programs. Your personalized program is emailed to you once we spend the time to evaluate your needs and understand your physical condition. 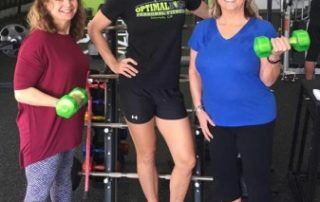 New clients are enrolled on a first come, first serve basis due to the very specialized work each trainer, including myself, puts into each client. But once you are a client you are locked in as long as you would like to stay with us. There is no time limit. 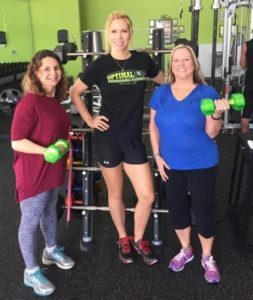 After the initial 8 week FREE training program, all clients may remain in the program as a DONOR to the charity for the type of nutrition and/or training program you would like custom designed. Getting started is easy, just fill out the form at the bottom of this page with your information and we will reply within 48 hours to finish your evaluation and get your program underway. 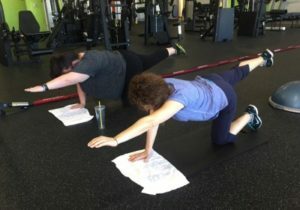 MSFC has joined with MSWorkouts.com to bring you the most comprehensive, easy to use and consistently updated online workout subscription available for MS. There is NO other program like this for quick, inexpensive and accessible access to your workout routines 24/7. 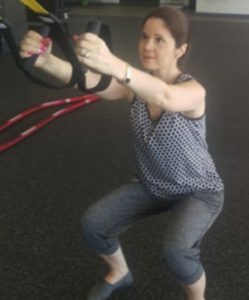 Endorsed by MSFC Founder David Lyons, who has come on as an MS Advisor for Practical Fitness Online MS, the MS specific exercises are designed by Tina Warring, PT and recorded at Central Texas Neurology Consultants / MS Clinic of Central Texas in Round Rock, Texas. It’s simple to get started. To enroll click here. Use the MSFC discount code DAVID on checking out to save 20% on your monthly subscription.